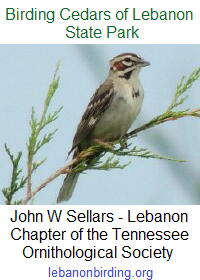 The fourth class of the Tennessee Naturalist Program at Cedars of Lebanon State Park will be held Saturday, 13 February 2016 at the Dixon L. Merritt Nature Center. Remember to bring your lunch with you, and dress appropriately. You will be hiking several miles, as well as exploring Jackson Cave. The cave is muddy and the ambient temperature remains below 60°F this time of year so you might want to bring a change of clothes.